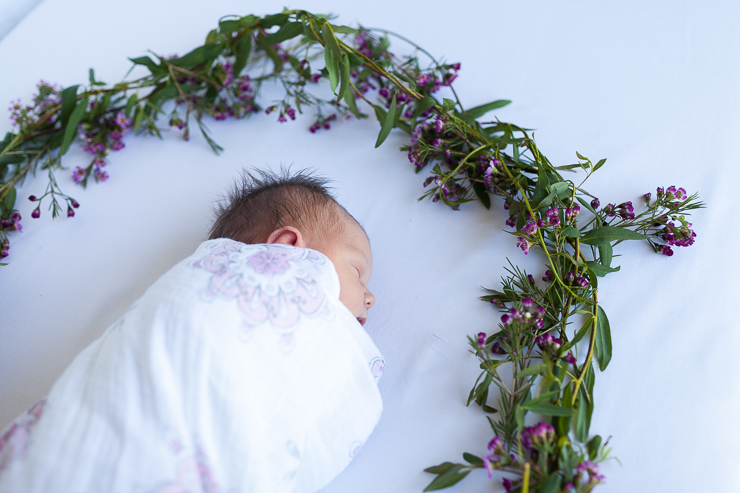 I had the privilege of taking some photos of Eden at just five days new! 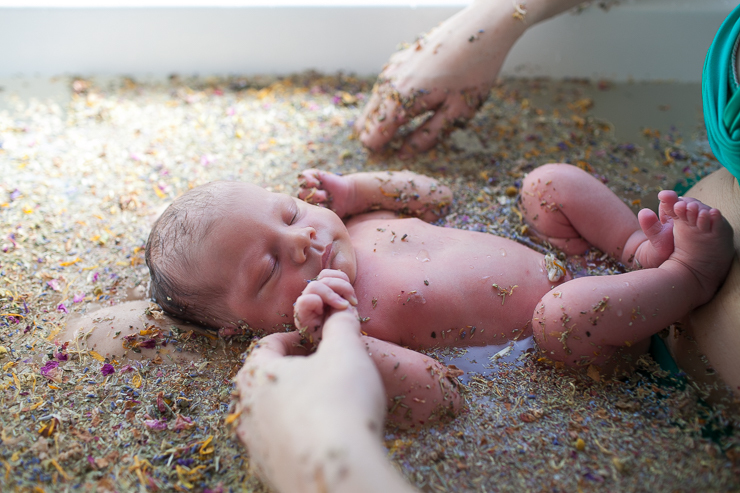 I captured her first bath with her Mama, surrounded by beautiful herbs and flowers. 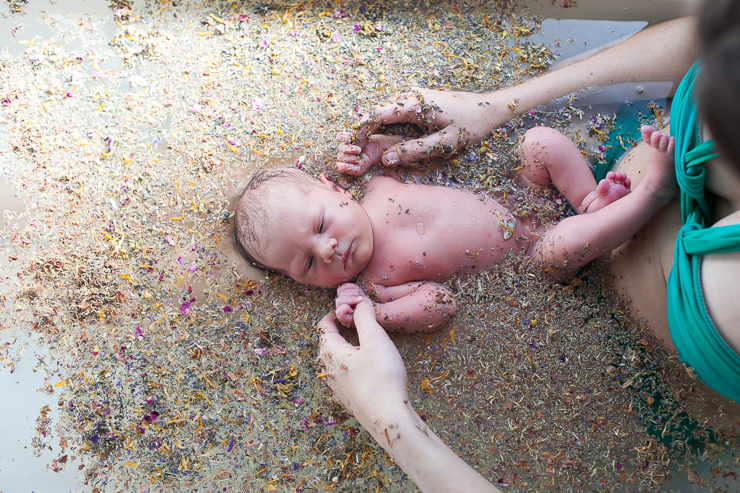 As soon as Eden was submersed into the water she completely relaxed and was so happy and content. 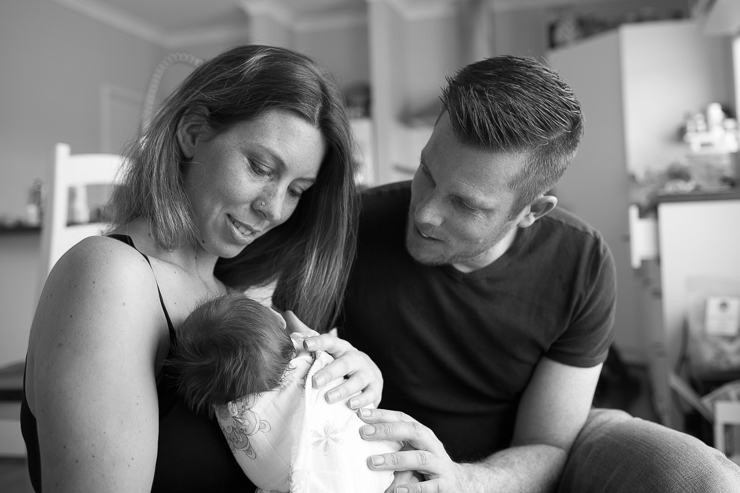 It was incredibly beautiful to watch. 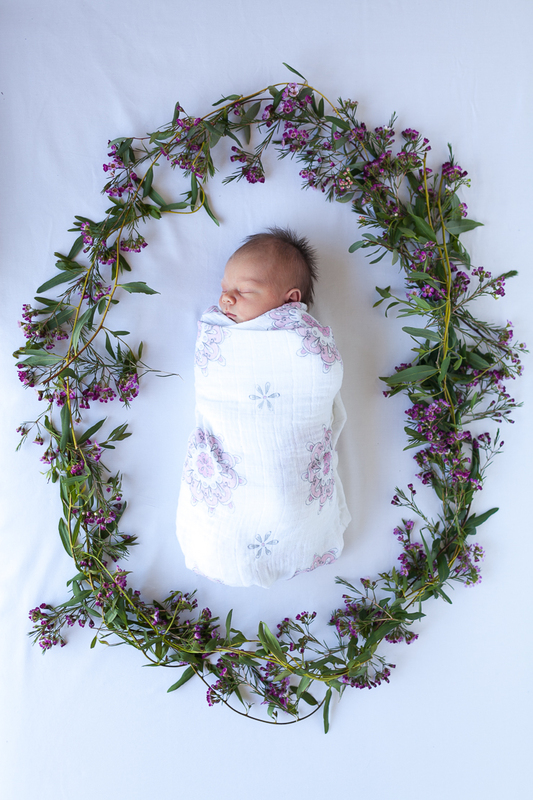 We then bundled Eden up and created a flower wreath using Geraldton Wax, a native flower that is blooming all over Perth at the moment, a beautiful reminder of Eden's birth.